If 60 is the new 50, then 15 should be regarded as the new 20. Many Australians were shocked that 15-year-old Farhad Jabar murdered NSW Police accountant Curtis Cheng outside police headquarters in ­Parramatta. Yet acts of homicide, including terrorist killings, are not uncommon with respect to young men. On ABC television’s Insiders lastSunday, Fairfax Media’s Mark Kenny referred to Jabar as “this dude”. In modern parlance, the word dude is usually used as a term of irreverent affection, as in “G’day, dude, how’s it going?” The term is not usually associated with a cold-blooded murderer. The ABC’s RN Breakfast host Fran Kelly was a fellow panellist on the Insiders couch. She referred to Jabar as a “young kid” but later qualified this to refer to “a kid with a hand gun”. Teenagers with handguns are not properly described as “kids”. The reaction to the murder on a Sydney street demonstrated a certain naivety about terrorism, present and past. In London last week a 14-year- old male was sentenced to a pos­sible life sentence for planning a terrorist attack in Melbourne last Anzac Day. In Melbourne in September last year Victoria Police shot dead 18-year-old Numan Haider, who stabbed two counter-terrorism police officers. A century earlier, Gavrilo Princip was 19 when he assassinated Archduke Franz Ferdinand in Sarajevo in June 1914, an event that precipitated the carnage of World War I. Journalists are not the only ones to have focused on Jabar’s youth. On Tuesday, senator Concetta Fierravanti-Wells, when speaking of Cheng’s murder, said “young people can go off the rails for a number of reasons”. But shooting a victim at the back of the head at point-blank range on a public street is not what the term “going off the rails” means. It will probably be some time before, following investigations by NSW Police and the Australian Federal Police, Australians have a detailed understanding of what precisely occurred at Parramatta on October 2 and the number of people involved. ● Sure, the overwhelming majority of Muslim Australians are peaceful and law-abiding. But a small minority are not. All those who are serving, or have served, time in Australian prisons for terrorism-related offences are Muslim. According to the available evidence, Jabar shouted “Allah, Allah” before he murdered Cheng. 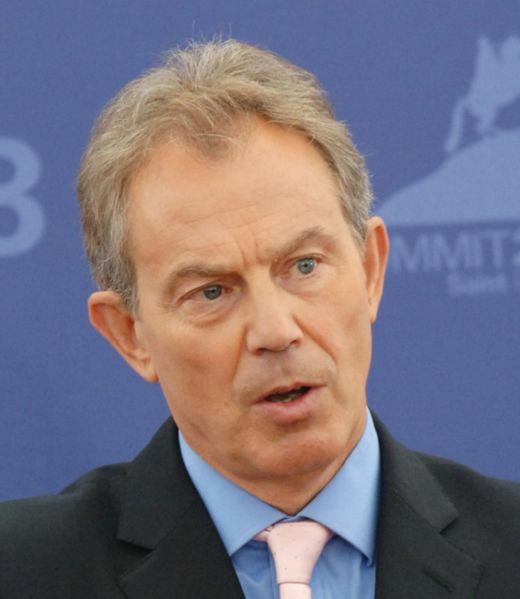 Moreover, as Tony Blair pointed out earlier this month, Islamists enjoy “significant” sympathy within mainstream Muslim ­communities. There is nothing unusual about the terrorism threat that has built up in Australia in the past decade, during the prime ministerships of John Howard, Kevin Rudd, Julia Gillard, Tony Abbott and now Malcolm Turnbull. In this period, violent Islamists have waged ­attacks on numerous democracies including Australia, Belgium, Britain, Canada, Denmark, France, Germany, Indonesia, Israel, Indonesia, India, The Netherlands and the US. Some of these nations had conservative governments at the time the murders took place; others, social democratic administrations. The Islamist terrorists regard the West as the enemy and see scant difference between the conservative Abbott and the socialist Francois Hollande. ● It is unlikely the radicalisation of young Muslims can be substantially reduced by a change of tone on the part of the ­government. On Monday, Muslim Australian medical practitioner Jamal Rifi, who has spoken out bravely against terrorist violence, told RN Breakfast that “the change of tone” under the Turnbull government was a “quantum leap” from that which prevailed when Abbott was prime minister. It may be that Rifi feels more comfortable with Turnbull. But the Abbott government put a lot of money into programs ­designed to build bridges to the Muslim community or communities. The Turnbull government may, or may not, spend more in this area. But it is unlikely to make any difference among the small but significant number of Muslim Australians who hate the country in which they were born or in which they settled as immigrants or refugees. The terrorism problem in Australia is not related to ­immigration. Australia has large communities of Buddhists, Hindus and Sikhs, among others. Yet there are not even small minorities within these communities who wish to wage a war against Australians or to overthrow democracy and ­establish a theocracy in its wake. ● Australia is a tolerant, accepting country. This can be gauged by the fact Australia has a relatively low level of ethnic-motivated crime and a relatively high level of intermarriage between the ­various ethnic groups. The frequent response in the media to the Lindt Cafe siege and the Parramatta murder is to call on Australians to unite against a backlash directed at Muslim Australians. The fact is, so far at least, the “I’ll ride with you” movement is quite unnecessary since there is no evidence of acts of murder or assault by non-Muslims against Muslims just because they are Muslims. Compassion and concern should be focused on victims of terrorism along with police and ­intelligence services who have to deal with terrorists. The Muslim community in Australia and elsewhere is deeply divided — between the Sunni and Shia sects and more besides. This is vividly demonstrated in the Syrian civil war. In recent years the Australian Defence Force has been dispatched to Afghanistan and Iraq to protect some Muslims against attack from other ­Muslims. At home, attempts are made to stop some Muslim ­Australians going overseas to kill other Muslims. Within Australia, youth worker Father Chris Riley pointed out in The Australian on Wednesday, the Muslim community in Australia is “so divided that they can’t agree on anything”. Riley criticised “anti-radicalisation strategies” that focused on “each other’s cultural differences”, maintaining that “a sense of belonging can only be established through experience”. It is unfashionable to say so, but Abbott’s “Team Australia” makes a lot of sense. When all Australians accept the Australian system of government, then everyone can be properly called a dude in an ­affectionate manner. Gerard Henderson is executive director of the Sydney Institute. His Media Watch Dog blog can be found at theaustralian.com.au.